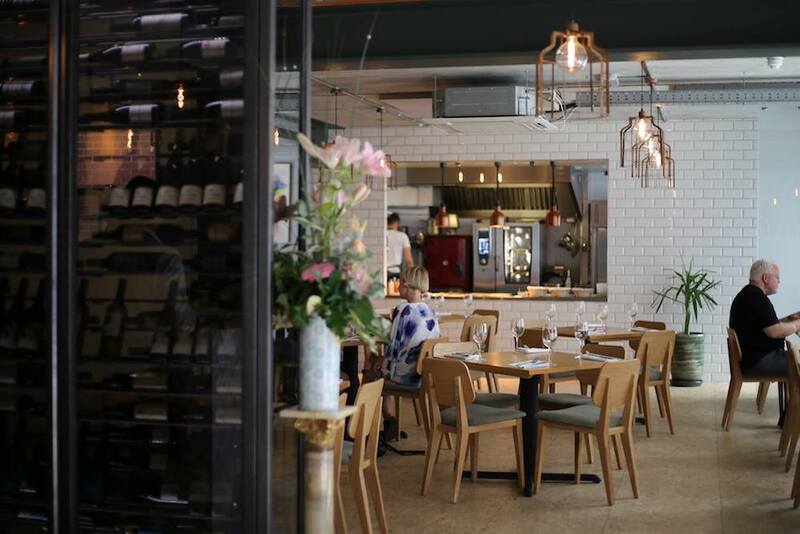 Situated on possibly my favourite street to eat and drink in the city – Farmyard opened two years ago and has certainly made it’s mark on St Benedict’s street. 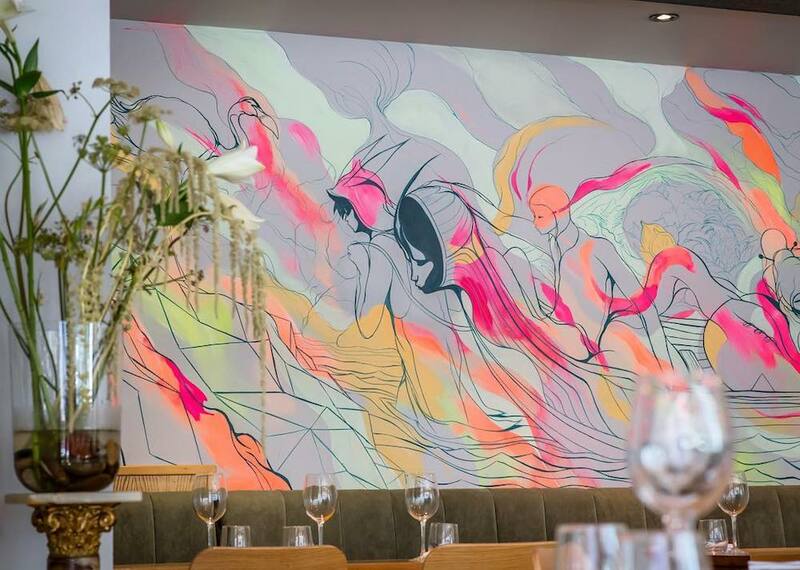 Bustling with great bars and restaurants, competition is high but owners Hannah and Andrew have certainly got the balance right when it comes to design, atmosphere and creative menu. We arrived on a busy Friday night and the place was packed with couples, families and groups of friends. There was a buzzy and informal vibe – not too loud and enough space between tables to allow privacy for date night couples. What struck me straight away is that there is a deliberate honesty to the design. Stripped back concrete ceiling, exposed piping and tasteful art – the simplicity instantly draws your attention to the huge open kitchen window and of course the creativity of the food. The style of food is ‘Bistronomy’ which essentially means fine produce not fine dining and of course championing local produce all the way. 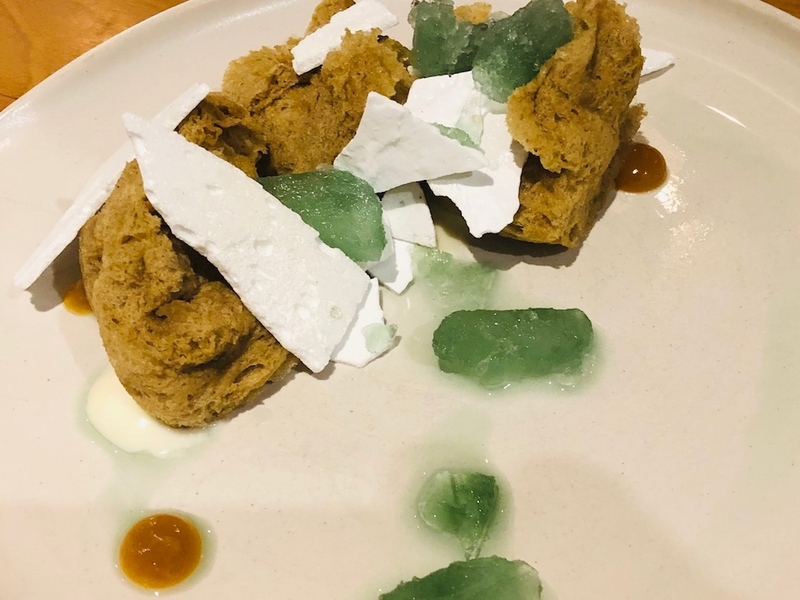 Owner and Chef Andrew Jones has 12 years experience working in busy London restaurants under Michelin starred chefs and this certainly shows in the creativity of the menu. 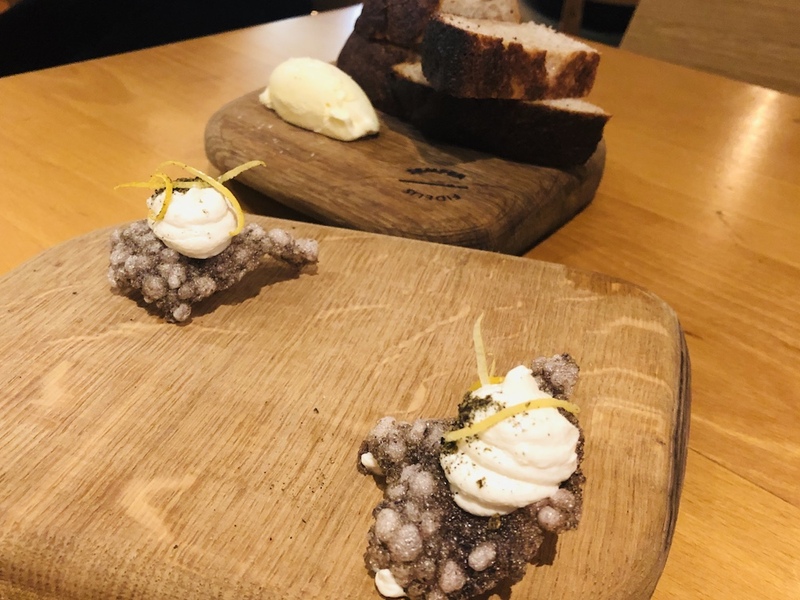 Having resisted carbs all day, I jumped at the home baked bread and whipped butter with a small entree of Seaweed cracker, cod roe and lemon zest. It was incredibly delicate with a subtle smokey fish flavour. 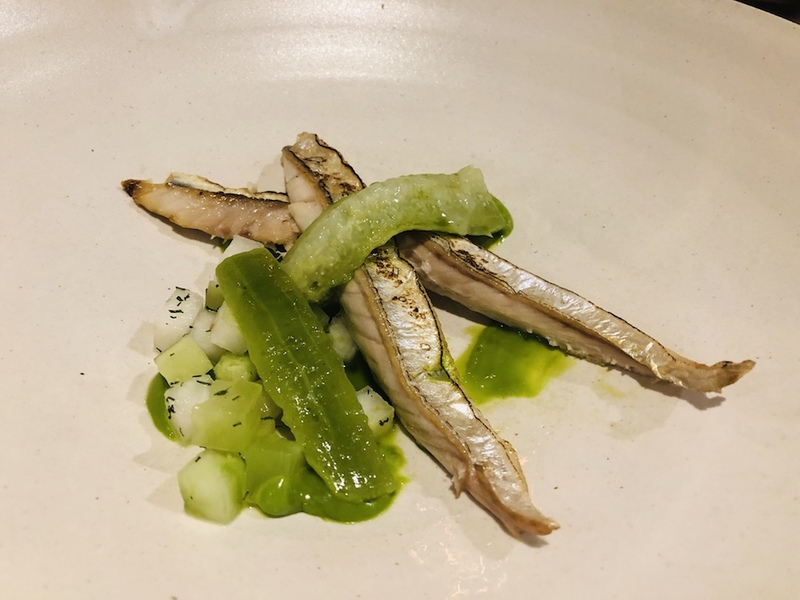 For Starter – Mackerel, Kohlrabi, pickled cucumber and dill which was perfectly portioned and incredibly light. Nothing worse than finishing your starter and feeling like the rest of the meal is going to be a challenge. Mr O had the Chicken and Ham Crubeens. 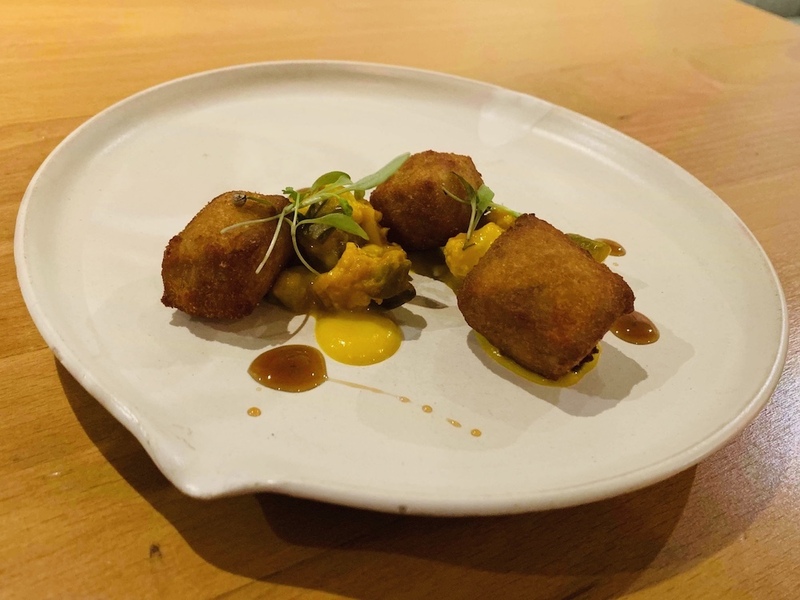 Don’t be afraid to ask if you’re unsure about a dish – thankfully we weren’t ordering a pig trotter (cheers google) rather an interpretation on the theme – lightly fried chicken and ham balls with a sharp contrasting piccalilli which we scoffed down like little piggies. 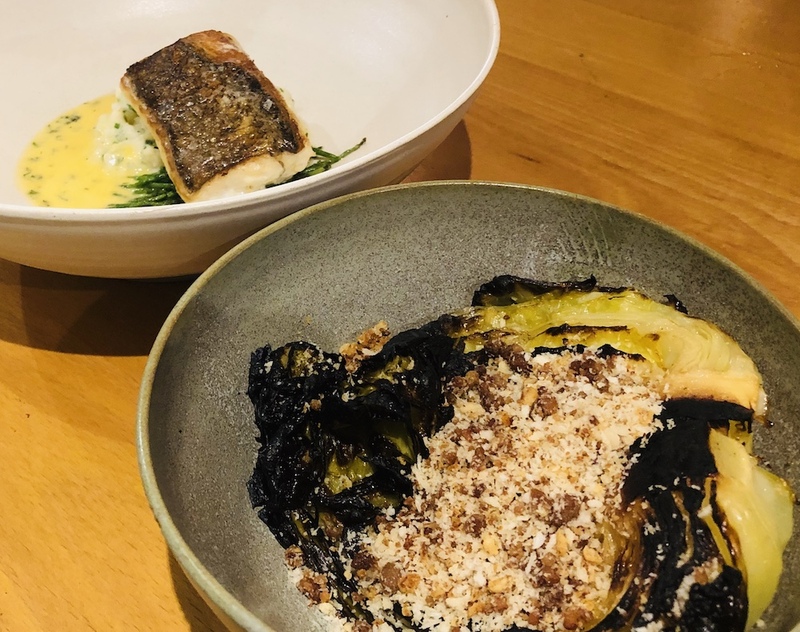 Continuing on the fish theme (still trying to get back into my skinny jeans after Christmas) I had the Roast Hake, brandade, samphire and dill beurre blanc with a side of confit cabbage and bacon crumb. How healthy does that sound? Very, right? Well that’s what I thought but there’s a reason it tasted so amazing – the cabbage was slow baked in pork fat. No room for disappointment – it truly was the most amazing cabbage I’ve ever tasted! 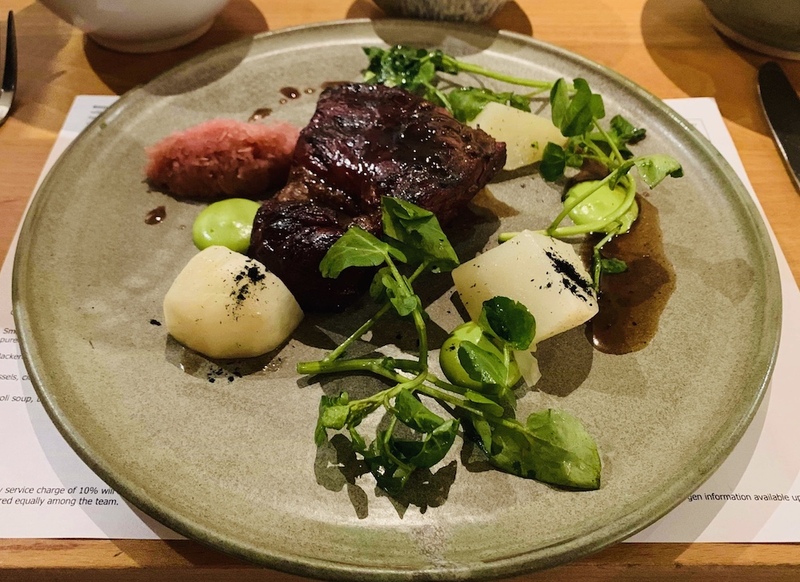 Mr O had the slow cooked Beef Short Rib, hay baked and fermented turnip and watercress emulsion. Beautifully presented with lots of lovely flavours. Interestingly there was no salt and pepper on the tables, I think the chefs might be telling us that they’re the seasoning experts. I’ve given up chocolate for January, so begrudgingly I had the Orange and Ginger sponge, cream cheese and paragon granita for dessert. I wasn’t overly keen on the granita but the sponge was incredibly light and flavoursome. As was the Earl Grey sticky toffee pudding with vanilla sorbet. I’ll be back for my chocolate fix of the Farmyard chocolate bar – Columbian 65% chocolate, miso caramel, peanuts and milk sorbet. You’re a five minute walk from the city centre and all the main shops, Norwich Market and the Lanes with lots of lovely independent shops. 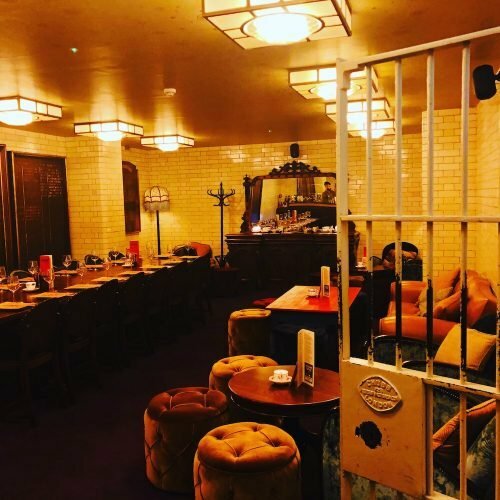 Some great places to start your evening – The Plough with it’s fab beer garden in the summer, Platform 12 for live music and The Gin Palace for well, gin. Norwich Arts Centre is a few doors down – worth checking out our What’s On Guide as we pull out events we think you might like. Cinema City is also close by with a great programme of mainstream and alternative films on show. If you like your vintage and antiques – pop along to Lulu’s Vintage and St Gregory’s Antiques and Collectables to find yourself something a little bit different. 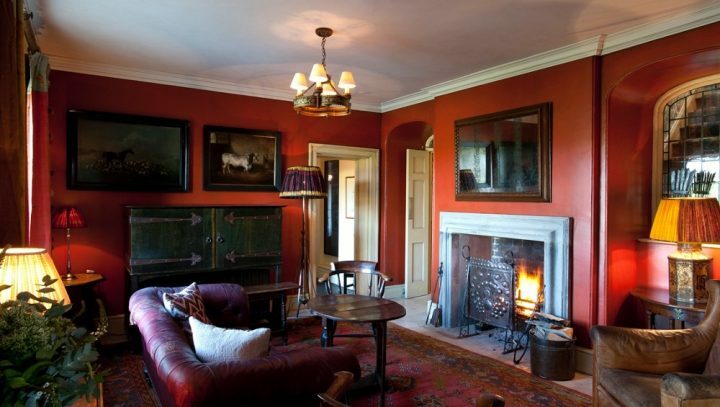 The area is thriving with great finds and well worth a couple of hours meandering at leisure. 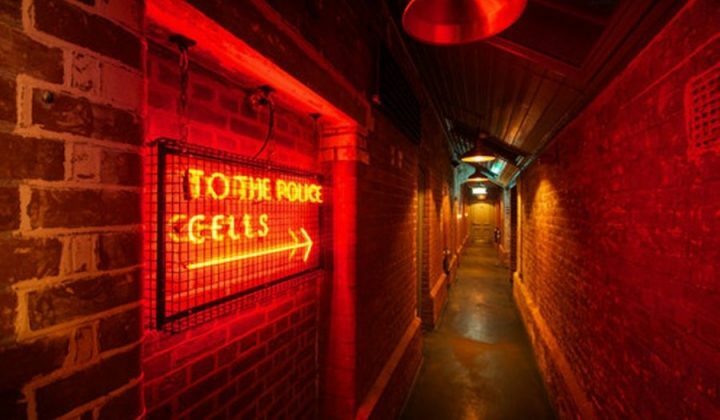 Good for: All ages and party dynamics – relaxed modern dining with great quality and creative food. 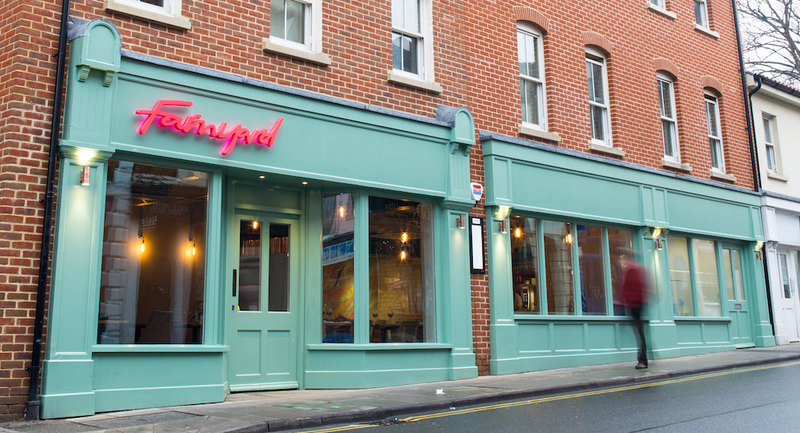 The damage: Starters range between £6 – £8; Mains range between £13 – £17 plus sides at £3; Desserts £6.50.